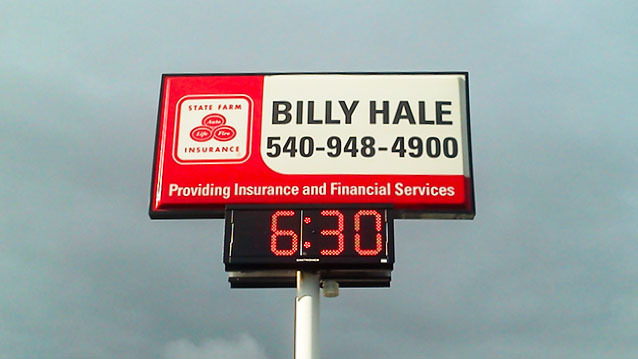 Pylon Signs - Hightech Signs, Inc.
It’s easy to see why pylon signs (pole signs) are so popular: their scale gets attention, and their message can be seen from far away. 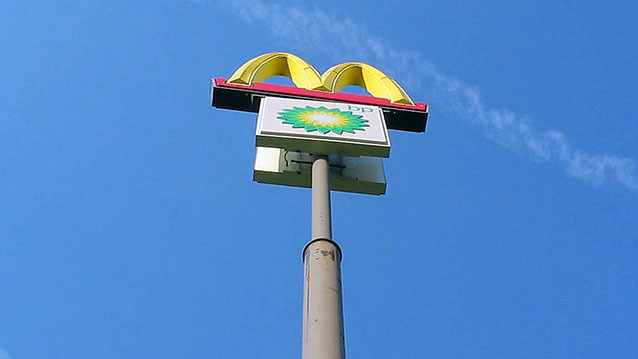 Pylon signs are free-standing signs mounted on tall poles. Installing and servicing high-rise pylon signs requires technical skill and specialized equipment. 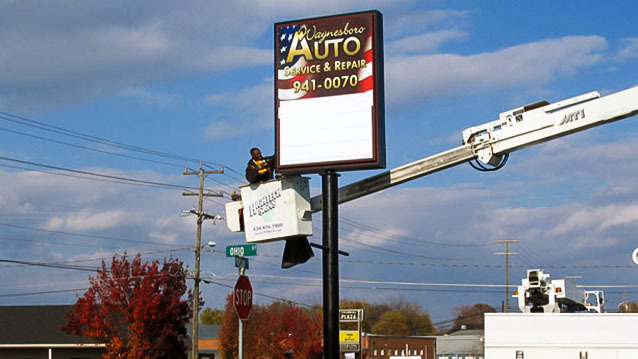 Hightech Signs is the premier Central Virginia specialist for elevated pole signs. 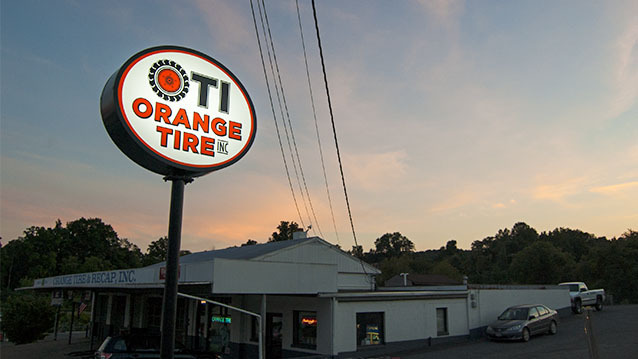 Our team can help you pick the right pylon sign material, design a sign that is compliant with local ordinances, and keep your electrical pylon signs illuminated.